You don’t have to be retired to dip into your Social Security benefits which are available to you as early as age 62. But is the early withdrawal worth the costs? 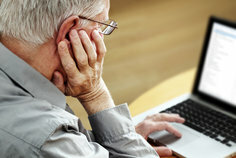 A quick visit to the U.S. Social Security Administration Retirement Planner website can help you figure out just how much money you’ll receive if you withdraw early. The benefits you will collect before reaching the full retirement age of 66 will be less than your full potential amount. The reduction of benefits in early withdrawal is based upon the amount of time you currently are from full retirement age. If you withdraw at the earliest point of age 62, you will receive 25% less than your full benefits. If you were born after 1960, that amount is 30%. At 63, the reduction is around 20%, and it continues to decrease as you approach the age of 66. Withdrawing early also presents a risk if you think there is a chance you may go back to work. Excess earnings may be cause for the Social Security Administration to withhold some benefits. Though a special rule is in existence that withholding cannot be applied for one year during retired months, regardless of yearly earnings, extended working periods can result in decreased benefits. The withheld benefits, however, will be taken into consideration and recalculated once you reach full retirement age. If you are considering withdrawing early from your retirement accounts, it is important to consider both age and your particular benefits. If you are unsure of how much you will receive, you can look to your yearly statement from Social Security. Social Security Statements are sent out to everyone over the age of 25 once a year, and should come in the mail about three months before your birthday. You can also request a copy of the form by phone or the web, or calculate your benefits yourself through programs that are available online at www.ssa.gov/retire. The more you know about your benefits, the easier it will be to make a well-educated decision about when to withdraw. If you can afford to, it’s often worth it to wait. Ideally, if you have enough savings from other sources of income to put off withdrawing until after age 66, you will be rewarded with your full eligible benefits.